Looking for an old-fashioned Christmas? 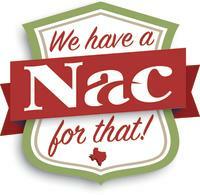 We have a Nac for that. Join us for the Nine Flags Christmas Festival mid-November through December. For more than a decade, the Nine Flags Festival has paid homage to the rich and spirited history of the oldest town in Texas. That history includes three attempts to establish a Republic of Texas. Thus, nine flags have flown over Nacogdoches as opposed to the six that have represented Texas. They are French, Spanish, Magee-Gutierrez, Dr. James Long, Mexican, Fredonia Rebellion, Lone Star, Confederate Stars & Bars and United States of America. Click on "Schedule of Events" to the left and begin planning your holiday stay. Click here for the 2018 Nine Flags Festival Parade Entry Form. Click here for the 2018 Nine Flags Festival Vendor Form.